Naiara Sánchez started her violin studies at the age of eight in Spain. She completed her Bachelor’s Degree at the Royal Conservatory of Granada and the Estonian Academy of Music and Theatre in Tallinn. She started teaching violin in Granada where she also developed her career as a chamber music and orchestra musician. As the concertmaster of Granada University Orchestra, she had the opportunity to perform across Europe and Morocco. She also had the chance to work with main conductors as Daniel Barenboim. She recorded several CD’s with the Granada Baroque Orchestra and the Oniria Ensemble. In 2011 Ms. Sánchez moved to the USA where she received a graduate assistantship and earned her Master’s Degree in Violin Performance from the University of North Carolina at Greensboro. During this time she worked as a teaching assistant for the UNCG Music Department, coaching chamber music in addition to teaching violin and music history classes. Nowadays, Ms. Sanchez combines her two passions: performing and teaching violin. 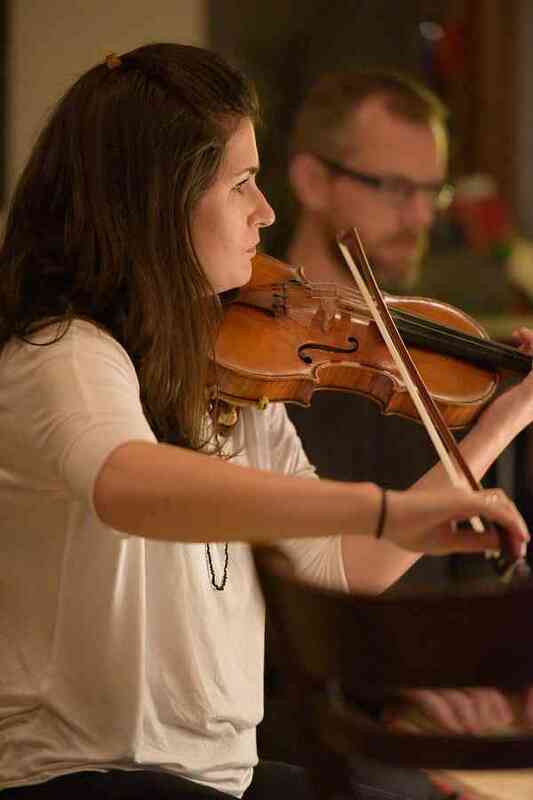 She is one of the founding members of the Railyard String Quartet based in Greensboro. She plays in several orchestras across North Carolina as Winston-Salem Symphony, Greensboro Symphony, Western Piedmont Symphony and Fayetteville Symphony. Ms. Sanchez holds her own private studio where she uses the Suzuki Method for the very beginners and a combination of this method with traditional training for the more advanced students. She offers the option of having the lessons in English and Spanish, at all levels. In addition, she is a faculty member at St. Mary’s Music Academy in High Point and Lawndale Baptist Church Music and Fine Arts Academy in Greensboro.